Average asking prices in England and Wales have increased 3.1% in the last 12 months but in Greater London values have fallen into negative territory with prices down 1.1% over the last year. Month on month asking prices crept up 0.1% to an average of £296,761 but fell in Wales, Scotland and three regions in England, according to the latest Home.co.uk index. The data also indicates that more properties are coming onto the market with supply increasing in all regions with the largest rises in the East of England with a rise of 18% and up 23% in Scotland. The worst monthly price falls were in the East of England where they were down 0.6% and Scotland with a decline of 1.1% while annually the decline is significant, down to 3.1% from 8.2% a year ago. 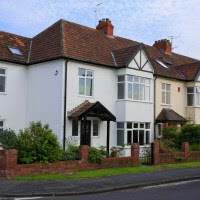 The total stock of property on the market in England and Wales has slipped again but is 1.7% more than in January last year. Time on the market figures show London and the South East have slowed down considerably over the last year and overall it increased by 16 days to 111 days over the last month. The index report points out that overall price growth continues to fall at the beginning of 2017 and the decline in the London market continues to have a negative impact on the national average. According to Doug Shephard, the firm’s director, a seasonal lull is to be expected at this time of year, but he believes that the rapidly declining year on year trend shows the real picture. In January 2016 the annualised rate of increase of home prices was 8.2% but that is now down to just 3.1%. Looking over 2016 the East of England was the UK’s best performing region and prices have risen solidly for the last five years but this growth period looks to be coming to a close, according to Shephard. He pointed out that home prices have become seriously out of step with earnings and rents, rising a further 10.2% over the course of the last 12 months and prices in the region have risen by 44% during the last five years. He believes that with rapidly increasing supply the region should expect a slowdown during the course of 2017. Shephard also pointed out that the UK property market remains highly diverse from region to region. The North East, for example, has yet to experience any sort of meaningful recovery. Prices there have hardly moved over the last five years, increasing just 2.5% and he thinks that a change looks unlikely. ‘However, any region where prices rose too high too quickly runs the risk of price deflation. London is already suffering this fate and the South East and later the East of England look set to follow,’ he said. ‘That said, 2017 is likely to be a mixed picture, with the East and West Midlands, who are still both in the growth phase, adding positive values to the national average. However, their gains are unlikely to change the overall direction of the price growth curve,’ he added.